California’s top high school students share similar expectations. They expect the best of themselves, the most from their college experience, and the brightest for their future. 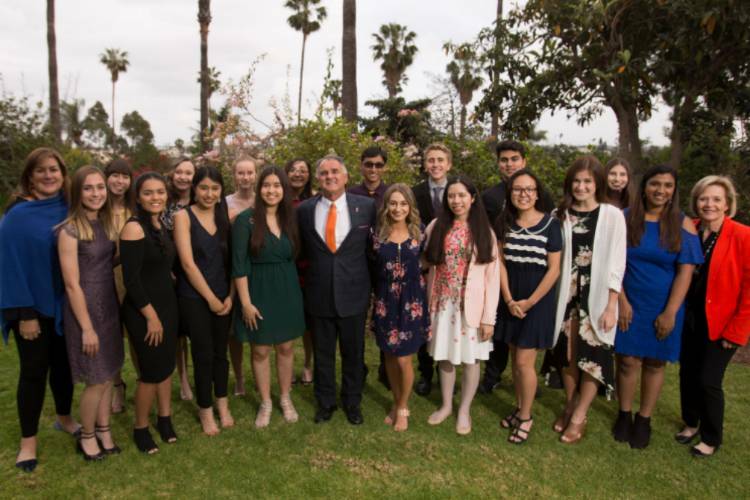 Cal State Fullerton’s President’s Scholars Program is so much more than just a scholarship: our comprehensive, rigorous program offers outstanding experiences and opportunities in academics, leadership, service and mentorship. The prestigious program provides a foundation for high-achieving students to develop and realize their potential for success – as scholars, leaders and citizens. Beyond graduation, President’s Scholars become leaders and role models in their professions and their communities. They make a difference and inspire others in the same way that they have been inspired. This is the President’s Scholars Program; it's much more than a scholarship, it's reaching higher. The President's Scholars Application for Fall 2019 is now open for current High School Seniors to apply. Click below for information on this year's app! If you want to learn more about the program and what it means to be a President's Scholars please click below. If you would like to become a President's Scholar, click below to learn about the application process. This site is maintained by President's Scholar.